Rockquemore, Kerry Ann and David L. Brunsma, Beyond Black: Biracial Identity in America (Second Edition) (Lanham: Rowman & Littlefield, 2007). 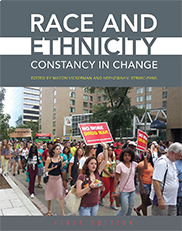 Beyond Black is a groundbreaking study that used both interview and survey data of young black/white individuals that sought to understand the meaning of being racially mixed in the United States by providing a theoretical and methodical analysis of racial identity for multiracial individuals in post-civil rights America. Multiracial Identity. 77 minutes. 2010. Brian Chinhema , director. Bullfrog Films. PO Box 149, Oley, PA 19547. 610.779.8226. http://www.bullfrogfilms.com/.